The observations of parents and teachers provide a wealth of information about a child’s behaviour that is directly relevant to an understanding of that child's executive functioning. The assessment of executive function in pre-school-aged children is often difficult because of the variable nature of behaviour in this age range; the limitations in motor and verbal proficiency at this age; and the many neuropsychological, psychological, developmental, and other medical conditions that begin to manifest during the preschool years. The BRIEF-P™ is designed to specifically measure the range of behavioural manifestations of executive function in children as young as 2 years of age, thus facilitating intervention at earlier stages of development. Individuals aged 2 to 5.11 years. 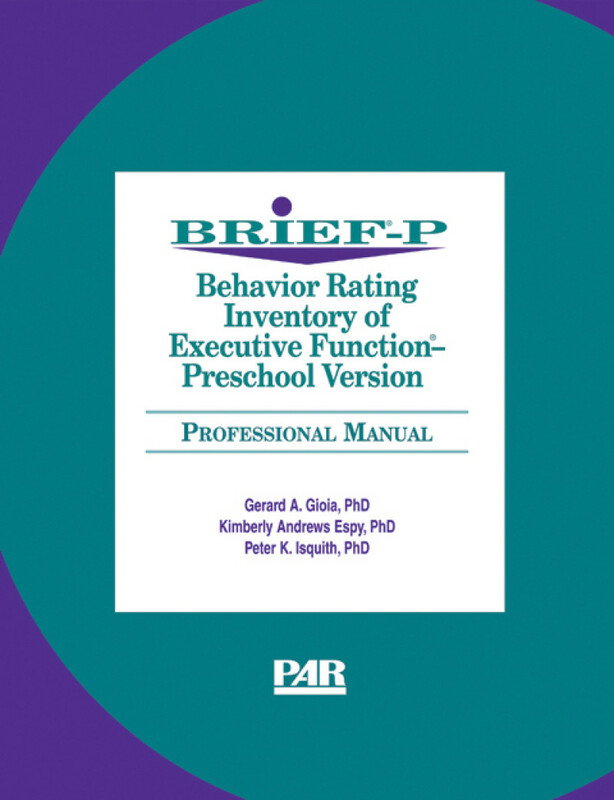 The BRIEF-P consists of a single rating form used by parents, teachers, and day care providers to rate a child’s executive functions within the context of his/her everyday environments - home and preschool. 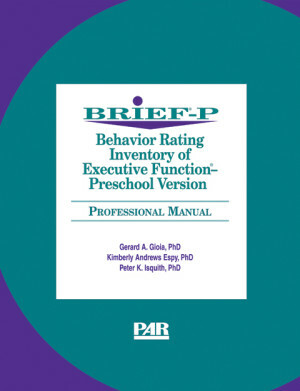 The original Behavior Rating Inventory of Executive Function (BRIEF™) was the basis for the development of the BRIEF-P. Consequently, the BRIEF-P is an ecologically valid and efficient tool for screening, assessing, and monitoring a young child’s executive functioning and development. The BRIEF-P is useful in assessing pre-school-aged children with such medical, acquired neurological and developmental conditions as prematurity, emerging learning disabilities and attentional disorders, language disorders, traumatic brain injuries, lead exposure and pervasive developmental disorders/autism. The hand-scorable BRIEF-P Rating Form consists of 63 items that measure various aspects of executive functioning: Inhibit, Shift, Emotional Control, Working Memory, and Plan/Organize. The clinical scales form three broad indexes (Inhibitory Self-Control, Flexibility, and Emergent Metacognition) and one composite score (Global Executive Composite). The BRIEF-P also provides two validity scales (Inconsistency and Negativity). Based on US child ratings from 460 parents and 302 teachers from urban, suburban and rural areas, reflecting 1999 UK Census estimates for ethnicity, gender, socio-economic status and age. 10 to 15 minutes to administer, 15 to 20 minutes to score.